You’ve driven over, under or through countless examples of our efforts to make BC highways better for everyone and you might not have even realized it. You might have wondered – what’s that bridge overhead going from nowhere to nowhere? BC highways travel through some of the most amazing environments on earth. You already know that these roads connect our communities and country and that a BIG part of our job is to maintain these highways, but did you know we are responsible for minimizing the impact highways have on roadside environments and more importantly to make them even better? To do it, we have a team of environmental specialists dedicated to protecting the roadside environment (and beyond) by making sure our transportation infrastructure is developed and maintained in an environmentally responsible way. Collaborating with multiple stakeholders to provide advice and direction on approximately 400 projects (such as archaeological and environmental assessments) each year. 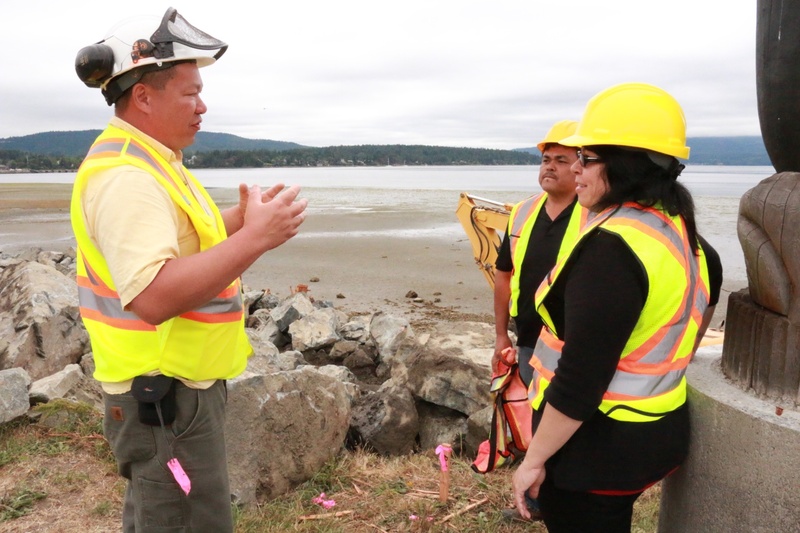 A good example of this type of collaborative work happened recently on West Saanich Road on Vancouver Island when we worked in partnership with the Tseycum people to prevent a portion of the Patricia Bay beach from eroding and washing out West Saanich Road. Senior Wildlife Biologist Sean Wong works with members of the Tseycum First Nation during restoration work. Work that breaks ground, occurs in or near streams or impacts wildlife are all undertaken with the end goal of improving the roadside environment and all require permits. We work with federal, provincial and local governments, First Nations, as well as a variety of stakeholder and special interest groups on over 200 permits and notifications each year! Because we work closely with so many different groups of people, we have the opportunity to develop comprehensive standards, policies and best practices for the work we do. These documents help educate our contractors and anyone else interested in our work. They also make sure we are all doing the right thing, every time. Our Wildlife Accident Reporting System (WARS) tracks animal-vehicle collisions with the goal of reducing such future accidents. We work alongside many of our partners, such as Invasive Species Council of BC, to manage Invasive Species to be sure that these sneaky pests don’t get a foot hold along our roadsides. 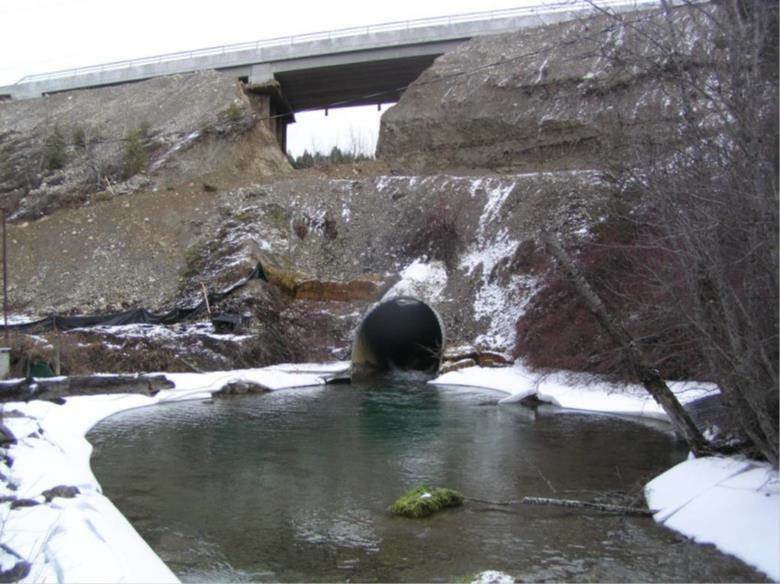 During bridge structure maintenance and culvert retrofitting we work hard to make sure fish and wildlife have the best possible outcome, as seen in our recent work along Heart Creek. 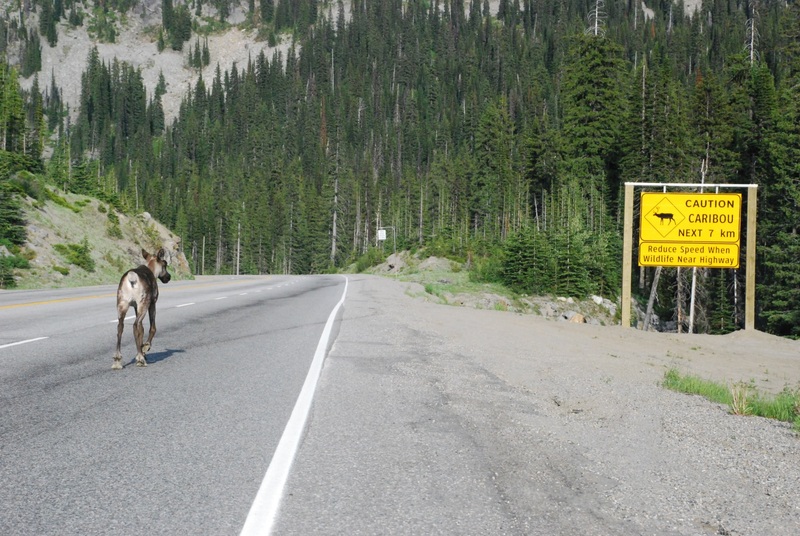 We employ a wide array of wildlife management tactics to keep travellers and wildlife safe along BC highways, including Wildlife Detection Systems and wildlife fencing, overpasses and underpasses. Green Shores work to help with flood control and erosion, seen in action here at Stories Beach. We also help with post-construction monitoring, as seen below in progress along Harper Creek recently. 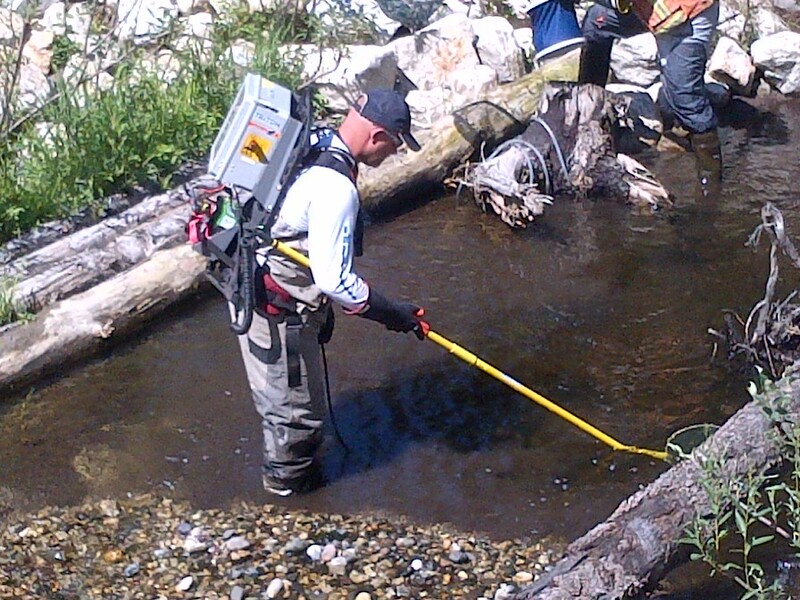 Post construction monitoring, fish sampling on newly constructed/restored Harper Creek channel east of Kamloops on Highway 1. Removal of the older, restrictive culvert at Luxor Creek and the new Luxor Creek Bridge in the background on Highway 95. Animals and fish can now move freely from one side of the road to the other. Win-win! Phew! That’s quite the list, don’t you think? It’s a lot of work, but we are committed to keeping this province a beautiful place to travel and live in, no matter what species you belong to. Have any questions about this, or any other transportation related topic? Let us know in the comments below. Is there any environmental review on the impact of highway upgrades in reducing spills due to accidents? I have worked on MANY remediation jobs on the Trans-Canada where the soil contaminated with diesel after a transport has wrecked is dug out, transported to a dump and replaced. Costs money, causes delays and I’m sure the clean up isn’t always perfect (e.g. if the spill runs through a culvert and way down the slope below the highway. Heaven help us if anything really toxic ever spills. While haven’t done a specific review on remediation savings related to road upgrades, many of the road upgrades we undertake are driven by safety improvements. Reducing the number and severity of vehicle incidents provides a whole suite of benefits, one of which is avoiding environmental damage (and remediation costs) associated with these accidents. Hope that this helps!